High-quality gem beryl was mined until 1995 from the beryl-topaz-morion pegmatites. The pegmatites are hosted in rapakivi-like granites of the Proterozoic Korosten pluton. Beryl-bearing pegmatites, as in the topaz-bearing pegmatites, have relatively equidimensional, occasionally elongated shapes and widths of 20 to 35 m. They are distinctly zoned with well-developed graphic, pegmatoid and block-microcline zones and quartz cores, which overline the mineralized cavities. Pegmatites with beryl accumulations rarely contain topaz and vice versa. 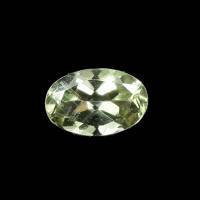 Beryl is predominantly contained within cavity-filling mica and kaolinite masses. Small beryl crystals are found in the zone of leaching and albitization. Underground mining in 1992 intersected a unique beryl-bearing pegmatite at a depth of about 70 m, from which more than a ton of collectable and gem beryl was extracted. Beryl crystals were in a mass of small fragments and clay material, which filled the space between large fragments of morion and microcline in the cavity and within clevelandite-albite-microcline aggregates, as well as in clay-mica rock. Large crystals were predominantly within the cavity and rarely in the zone of leaching. Beryls are predominantly transparent to semitransparent due to numerous gas-liquid inclusions. The colour varies from pale to deep green, often with yellow tint, and less often olive-green, lettuce-green, and bluish. The crystals have prismatic habit and may have obelisk-like shapes with even development of faces of the hexagonal prism. 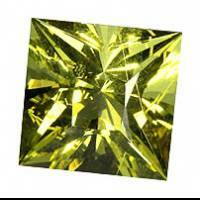 Most of the jewelry raw material is in 3 to 10 cm long crystals. Large transparent specimens may weigh as much as 4 to 5 kg and more. A unique beryl crystal, extracted from Volyn beryl-bearing pegmatite, was named Vladimir and has dimensions of 16 x 18 x 55 cm and a weight of 22 kg. It has rich green colour, transparent for the most part, but a little turbid at the base. RI for the beryl is 1.566 - 1.570.